Well, the fiscal cliff was averted at the 11th hour, though there are already rumblings of more cliffs to come. I guess things are going to be pretty rocky in 2013, as many had suggested in earlier predictions. 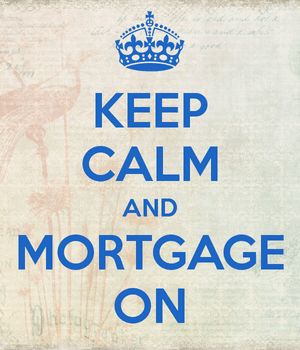 But one thing is for sure – the Mortgage Forgiveness Debt Relief Act of 2007 has been extended for another year, until the end of 2013. Put simply, it means homeowners who have mortgage debt forgiven won’t be on the hook for it later when the IRS comes a knockin’. Before the law was introduced, those who sold their homes short or lost them to foreclosure would have to treat any shortfall as income, which clearly didn’t make a lot of sense if someone couldn’t even make their mortgage payment to begin with. Loan modifications were also subject to taxation if the principal balance was reduced. Fortunately, Bush signed the bill into law to pave the road for millions of distressed sales, which continue to aid the housing recovery. Aside from all the other tax stuff, this initiative is perhaps the most important piece of the American Taxpayer Relief Act of 2012, seeing that distressed sales, including short sales and foreclosures, account for a huge chunk of home sales nowadays. After all, most homeowners who aren’t distressed probably have no intention of selling their properties at the perceived bottom, which explains the inventory shortage. The legislation will also ensure that loan modifications can continue to be processed for struggling homeowners. Keep in mind that this law only applies to mortgages on primary residences, not second homes or investment properties. Additionally, those who pulled cash out of their homes might not receive favorable tax treatment. Finally, the law limits the amount of indebtedness to $2 million for singles and those who are married and filing jointly ($1 million if married filing separately). *California has even lower maximums, so consult a CPA! Lawmakers went easy on homeowners when they came up with the American Taxpayer Relief Act of 2012. It also contains a provision that extends the tax deductibility of mortgage insurance premiums, which will help both homeowners and private mortgage insurers. Again, there are limitations here with regard to income, so consult your CPA to determine how much of your premiums are indeed deductible if you itemize. The big question with all these tax “breaks” is whether they’ll continue to be extended. Obviously, the Mortgage Forgiveness Debt Relief Act of 2007 has been extended time and time again, if the name of the bill is any indication. But if the real estate market shapes up this year, an extension next year might not be a sure thing. That said, homeowners who are in need of a loan modification or a short sale might want to do it sooner rather than later to avoid any nasty tax consequences. While lawmakers didn’t mess with the mortgage interest deduction (MID) directly, there’s a good chance they will before the year is up. As mentioned, there are more cliffs to come, and the MID will probably be part of those discussions. Additionally, the American Taxpayer Relief Act of 2012 reinstates the “Pease” limitation, which reduces the total amount of itemized deductions for high-income taxpayers. The deduction for home mortgage interest is not exempt, so technically the wealthiest homeowners in the nation will see MID benefits drop this year. Again, consult a CPA because it’s complicated tax business. Things certainly could have been worse, though with the housing recovery hanging in the balance, it was fairly obvious that lawmakers wouldn’t shake things up too much on the mortgage front. So I can get into a program call the (HEMP) program..!!! Want me to pay 3-consecutive payments to them…!!! Country Wid and with no docs… Can’t tell you how much I love to hear about the BUMBS for taking the money as a bail-out and not helping people like me.. 7 years later… Shame this why people go postal on people like them and Banks.. These dirty bastards… Anyway to get Help from anyone… I have an FHA AND I HAVE FORT THE FIGHT AND WONT GIVE UP.. They will have to drake my DEAD BODY OUT OF HERE… Sorry a fan….!! !